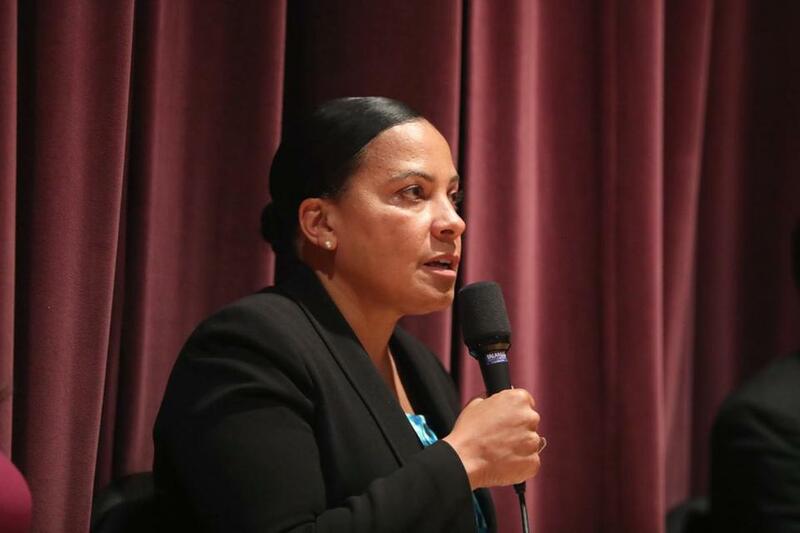 Rachael Rollins speaks at a debate in June for Suffolk County district attorney candidates, moderated by New England Patriots players Devin and Jason McCourty and Matthew Slater. Reform isn’t easy. If Rachael Rollins didn’t know that already, she certainly does now. It’s been a week since she won the Democratic nomination for Suffolk County district attorney, and she still has to best a little-known independent in the general election in November. But already, the police union, former prosecutors, and even some defense attorneys are pushing back on her criminal justice ideas. The chief concern: a plan to forgo prosecution of 15 petty offenses, ranging from trespassing to shoplifting to drug possession. Rollins has made it clear there will be exceptions to the rule. And she’s intent on building a good relationship with her critics. But she should stick to the policy. It’s smart, and it’s not as radical as it might sound. As even Rollins’s critics acknowledge, many of the crimes on her list typically lead to probation rather than jail time — even after multiple infractions. What’s she’s really aiming to do, by dismissing cases or seeking civil penalties, is avoid branding alleged offenders with criminal records. Records, after all, can have serious collateral consequences — including job and housing loss, and all the spiraling problems that come with them. Among the chief beneficiaries of the policy shift would be young adults, who are impulsive, subject to peer influence, and prone to the sort of petty crime at issue here. The data show that most will “age out” of crime by their mid-20s. But if they have criminal records, it can be much harder to build productive lives when they get older. And if they struggle, we all bear the cost — whether we’re paying for social services, incarceration, or some combination of the two. Rollins’s critics say her plan is a “recipe for disaster” — that it will encourage bad behavior and lead to more serious problems. But there’s no evidence for that claim. In Chicago, a progressive prosecutor has overseen a substantial drop in violent crime. And Philadelphia has done just fine since a crusading civil rights lawyer took over as DA. The truth is, Rollins has a strong mandate for change. She won a five-way Democratic primary with a commanding 40 percent of the vote. And three-quarters of voters cast a ballot for one of the field’s reformist candidates. If Rollins wins the general election, she’ll need to continue the dialogue with those uneasy about her reformist approach. But ultimately, those critics will need to understand that the voters have spoken.